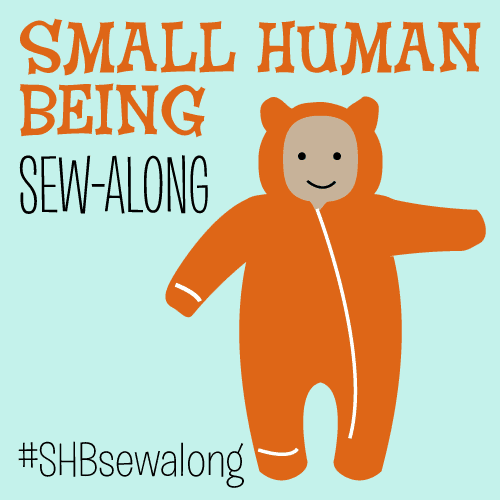 I'm sure you've seen this on other sewing blogs, but just in case... 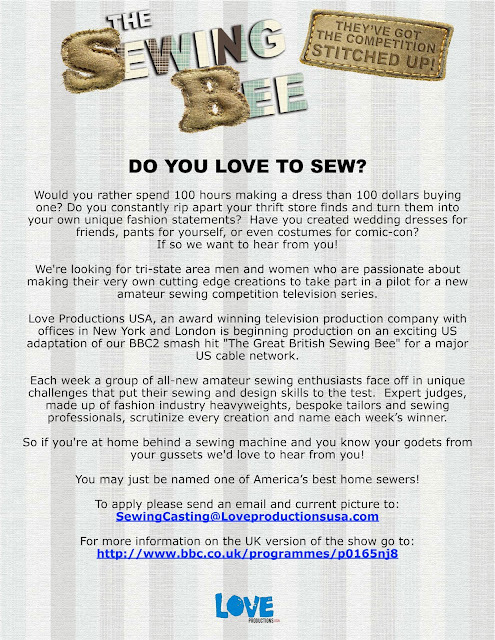 The Sewing Bee (American edition) has put out a casting call for the tri-state area, looking for applications ASAP--click on the the above flyer for details. I loved the British version of the show—it was fast-paced and competitive, but still KIND (as opposed to cutthroat) and focused on home sewers, not aspiring fashion designers. The American one is going to have a somewhat different format that actually makes it easier to participate—each episode will have a new set of competitors, so filming for each person chosen will only be for a few days. Anyone else planning to apply? P.S. In other not-sewing news, just a gentle reminder to check out my new recipe blog, Safe & Scrumptious From Scratch. It does have a food-allergy-free focus (no dairy, nuts, sesame, eggs, or mustard), but the recipes (like my no-nuts Nutella substitute or black bean, potato and pepper tacos) should be tasty enough for EVERYONE to enjoy.